Reduce the severity of symptoms and shorten healing time. Herpes infections most commonly occur in the mouth, but can also occur in the genital areas and in the around the eyes. Some common symptoms are swelling, redness, clusters of blisters, fever, headache, fatigue, pain, and blurred vision. 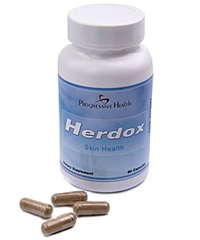 Herdox is a natural supplement that is designed to be helpful for reducing the severity and occurrences of Herpes outbreaks while also shortening healing time. By providing your body with the proper nutrients, it can naturally fight back against the herpes virus and help you take control of your life. Order Now!